Building on the success of the original Verona gaming chair, Arozzi has made some key improvements with the V2 version. To start, it’s 0.6 inches wider than before, allowing for a little more wiggle room. For those who like to lean all the way back, they’ve increased the recline range up to a full 180 degrees. 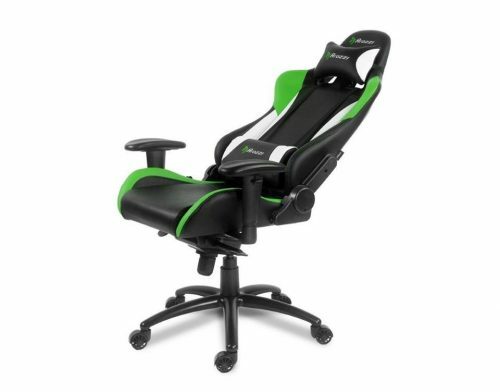 Undoubtedly, it still has all of the features that made it a standout in the first place, like adjustable armrests and a lumbar and headrest pillow that can be maneuvered to your liking. One of the most notable features on the Verona V2 is its rocking mechanism. This versatile chair is capable of 12 degrees of rocking back and forth. You can even change rocking resistance with the adjustment wheel. For stability, everything is built atop a sturdy metal frame. And it’s covered with supple pleather, which is soft to the touch but resilient enough to keep you put during intense firefights and battles. Get it off Massdrop now with an extra US$10 off SALE price US$169.99 (orig.US$329.99) by using our special promotional link, which sums to a total of US$159.99 only!